Verve Rewards are various schemes put together by VerveTM and its various Reward Merchant Partners to reward loyal customers. There are various types of Verve rewatds. 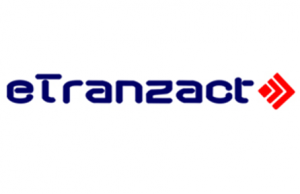 This can be CashBack (also known as RewardMoney) or Instant Discount or Sweepstakes. CashBack (also known as RewardMoney) is a loyalty scheme designed to give you money back for every payment you make using your Verve Card or any card with the Verve Logo. This money back can be accumulated and spent with any of the Verve Reward Merchant Partners. Instant Discount are seasonal discount a Verve cardholder can enjoy at the various Merchant enabled locations or websites for paying with their Verve Card or any card with the Verve Logo. Sweepstakes are periodic as well, with possible give away prizes that can be won by a Verve cardholder for being brand loyal. To enjoy this benefits, you will have to use your Verve card Y or a card with the Verve Brand logo. You can enjoy money back every time you use your card at a Verve Rewards location. Unlike other loyalty schemes, with your initial card activation, your Verve Card is already activated to start earning CashBack (RewardMoney). CashBack (RewardMoney) provides the flexibility of spending immediately or accumulating for future redemption. The largest supported Reward platform in Nigeria with bank cards from over 19 issuing banks participating. To earn CashBack (RewardMoney) simply make payments for your goods with your Verve Card at any Enabled Reward Merchant locations or websites. Please note, the cashback is not added to your existing card balance. It is accrued on a virtual account that can be viewed simply by logging on to www.myvervecard.com. Also, each CashBack (RewardMoney) discount varies depending on the merchant however discounts range from a minimum of 1% to 17.5%. Cashback (RewardMoney) is credited with 24 hours of Payment. 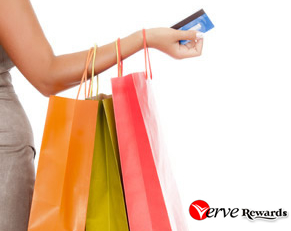 Accumulated CashBack (RewardMoney) earnings can be spent at any of the enabled reward merchant locations and websites for free or simply log on to www.myvervecard.com to view options on how your CashBack (RewardMoney) can be spent. But you can also add it to your card balance to spend later if you choose not to leave your accumulated rewards on the virtual account. And you can transfer it to a bank account by simply log on to www.myvervecard.com.